"A regular carrot cake muffin with melted chocolate added to the mix." Whisk flour, sugar, coconut, cinnamon, baking soda, nutmeg, and salt together in a large bowl; add carrots, oil, pineapple, eggs, and vanilla extract and mix until batter is evenly combined. Fold chocolate chips into batter; spoon into the prepared muffin cups. Bake in the preheated oven until a toothpick inserted in the center of a muffin comes out clean, 15 to 30 minutes. 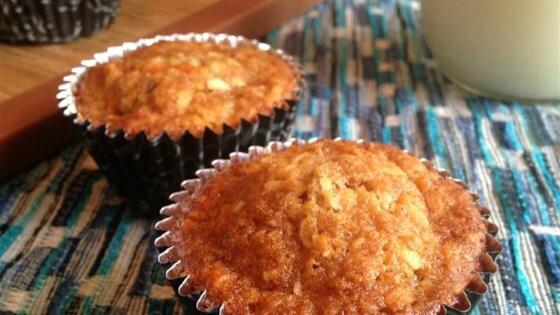 Cool muffins for 20 minutes before serving.